The strategic partnership between Guestline and the JLL Hotels and Hospitality Group is going from strength to strength. The strategic partnership was launched to help hoteliers increase the value of their properties through more relevant and accessible market intelligence and technology. By using real-time data and technology that delivers improved return on investment, Guestline and JLL enable owners and operators to benchmark the performance of their property in terms of average room rate, occupancy, pace and length of stay. The partnership focuses on the hotel, student accommodation and serviced apartment sectors. As part of the joint partnership, JLL advises clients on Guestline’s cloud-based software solutions to help them maximise the amount of revenue they generate. Guestline’s suite of property management systems and channel distribution solutions help hotels and apartments improve their management processes, improve occupancy and increase average room rates. These process improvements subsequently lead to an increase in the asset value of their properties. 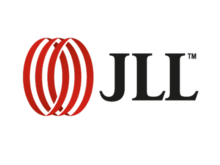 JLL provide specialist research and market intelligence to support their client’s critical decisions. Guestline provide JJL with reliable and extensive market data for exceptional, real-time business intelligence. Guestline’s benchmarking information enables hoteliers to monitor average room rates, occupancy, pace and average length of stay by market segment, town or nationally, whilst delivering an unrivalled insight into regional OTA performance. ‘Our work with Guestline enables us to support our clients with cutting-edge technology and up-to-the-minute market intelligence which is not presently available to the independent sector.’ added Mark State, Chief Operating Officer for Europe, Middle East & Africa, JLL. JLL’s Hotels & Hospitality Group deliver a complete range of real estate advisory and brokerage services to support clients during the entire lifecycle of an asset. Their client base span the hotels and hospitality spectrum from luxury, select service and budget hotels, timeshare, convention centres, mixed-use developments and other hospitality assets. Guestline are experts in revenue generating software technology, enabling hotel groups and independents of all sizes to achieve maximum occupancy at the most profitable rate. Their cloud based solutions are currently growing revenues in businesses in ten countries across four continents. Guestline’s integrated distribution platforms have generated their group and independent clients over £250 million in booking revenues over the past 12 months. LL pride themselves on being one of the world’s leading hotel and hospitality real estate advisors, with 300 dedicated hotel and hospitality experts offering clients advice on everything from hotel investment sales, valuations and financing advice to hotel asset management, operator selection, and research and acquisition advice. By combining Guestline’s technical excellence with JLL’s industry-leading experts in real estate and investment management, the partnership supports hotels and enables them to embrace the ever-changing and challenging world, improve their business processes and use knowledge to substantially increase their profit.